If your property has a stump or stumps that need to go our well trained technicians can take care of those unsightly stumps. 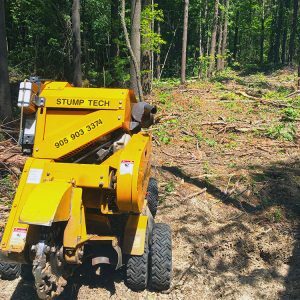 At StumpTech our staff members have the skills and training to get rid of those stumps quickly and easily. 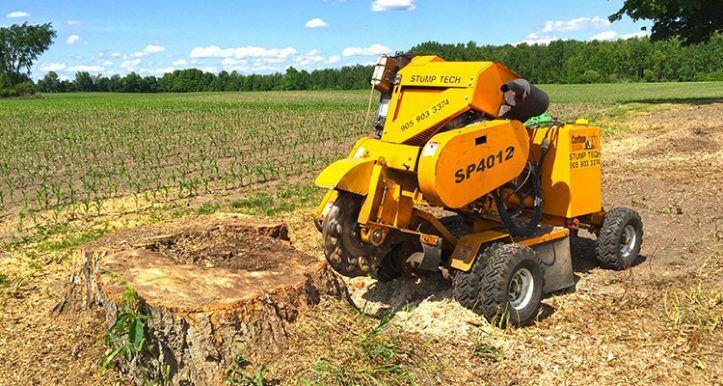 StumpTech has more than 5 years of experience in stump removal and 8 years of experience in the tree industry. We give our techs the best stump grinding equipment on the market so that they can improve the look of your property and make sure that your property is safe for pets and children. The equipment that we use won’t damage your lawn or cause any hazards on your property. We can access almost any yard, even fenced yards, as long as there is a 36” wide or wider gate or opening for our equipment. All of our stump grinders have turf tires designed to move easily over any ground so that the equipment won’t leave tracks or tear up your grass or sod. Our crew has the right equipment to handle stump removal of any size. 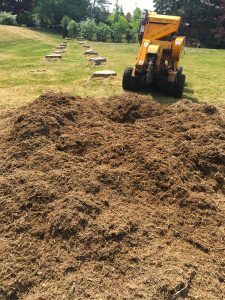 From large stumps to small and from one stump to many stumps they can get the job done quickly and professionally without damaging your lawn. Customer satisfaction is always our focus. We have 5+ years of experience in stump removal. Guaranteed workmanship – we stand by our work always. Our staff are fully insured against liability and damage. Use the best quality equipment to remove stumps. In order to make sure we give an accurate estimate we also will ask what you plan on doing with the cleared land. If you’re going to be laying new sod, planting, or pouring concrete for a patio area all of those factors will affect the amount of work that needs to be done. We have a minimum charge of $150 (+HST) for every job but that is not a fee for an estimate, only for work done. Many times the amount of work that needs to be done is covered by this minimum fee and there are no additional charges. Why Hire A Professional Whitby Stump Removal Company? It is always a good idea to hire a professional stump removal company instead of trying to remove the stump yourself. Getting a stump out safely requires training and experience. It also requires specialized equipment. All of our technicians have the experience and training needed to remove stumps from any type of property. And we make sure they have the best equipment on the market to make stump removal fast and easy. Removing stumps yourself can be a long and difficult proves if you don’t have the know how and the equipment to do the job. Some things around the house you can DIY, but stump removal isn’t one of them. When you need stumps removed from your property so that you can fully enjoy your property call StumpTech for a no obligation estimate.